Now the Nvidia GeForce GTX 1660 Ti launch is officially done and dusted, the rumour mill turns its focus towards further entrants that will form the foundation of the GeForce GTX 16 series. We have fleetingly mentioned them before, but today GTX 1660 and GTX 1650 news bubbled to the top, as they have been mentioned in a fresh DigiTimes report. The above dates seem to have shifted a week or so from what earlier reports via HardOCP indicated. However, the GTX 1660 Ti was also 'delayed' by one week according to those dates shared back in January - from 15th to 22nd Feb.
Nvidia's recent and upcoming range of GeForce RTX 2060, GTX 1660 Ti, GTX 1660, and GTX 1650 will put "heavy pricing pressure on AMD's mid-tier and low-end offerings such as VEGA 64/65 and RX590/580/570," according to DigiTimes. If Nvidia's plan works its new found focus on this low-to-mid range segment will bolster its profits and drive AMD's market shares down into the 20-25 per cent region. 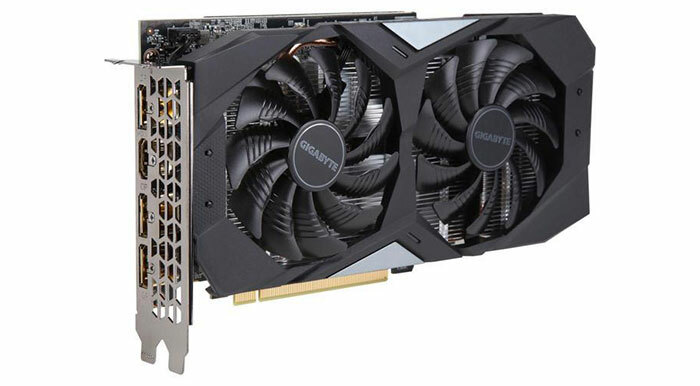 If you want to have some idea about what constitutes a GTX 1660 or GTX 1650, VideoCardz sources indicate the following: The GTX 1660 will pack 1280 CUDA cores, either 3GB or 6GB of GDDR5, on a 192-bit bus, and come with an RRP of US$229. The GTX 1650 CUDA count is still unclear, but it is expected to come with 4GB of GDDR5 on a 128-bit bus and carry an MSRP of US$179. Back to the topic of competition, a few days ago Bits&Chips Tweeted a rumour, as follows: "MSRP of RX580 8GB at 199$ and of RX590 at 229$ in next weeks". Here in the UK we have already seen some RX 580 4GB cards at £149 (with 2x free games), and it looks possible the 8GB versions could come down to this level shortly. “Nvidia's recent and upcoming range of GeForce RTX 2060, GTX 1660 Ti, GTX 1660, and GTX 1650 will put ”heavy pricing pressure on AMD's mid-tier and low-end offerings such as VEGA 64/65"
“AMD's mid-tier and low-end offerings such as VEGA 64/56” shots fired.